We’re more than blenders and packers. 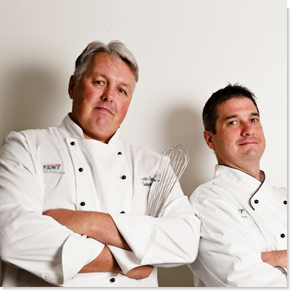 We’re professionally trained chefs, creative food scientists and polished technicians. Eagle-eyed trend-spotters and idea generators. Our entire team of industry veterans will help you understand current and emerging trends, and address them in a way that makes sense for your goals. Our team also includes two registered dietitians. When designing a product to meet a particular health & wellness need, they’ll help you navigate an increasingly complex category. In ensuring that your products consistently taste and perform according to your vision and expectations, our R&D professionals have a distinct advantage. That advantage is their location. They work in the same facilities as our blending and packaging teams, inspecting products as they come off the line. Whether we’re developing new items, duplicating current items or reducing the costs of a current formulation, our experienced culinary professionals are always looking for ways to sharpen your competitive edge.